Three people are dead and thirty five injured in a 52 car crash in foggy weather on Germany's Autobahn. 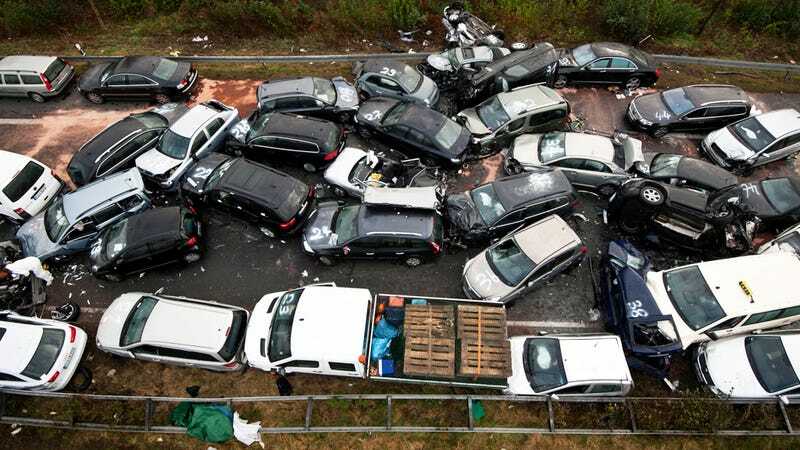 The pileup took place at 7:15 last Friday night by Gronau, near the Netherlands border. From the wreckage spanning several hundred yards of the Autobahn, fourteen of the thirty-five injured were hospitalized. One woman and two men are dead. Even with best-in-the-world driver education, it's still possible to find drivers going too fast for road conditions.